Josephine Dublin, the principal of the Convent High School (CHS) is the new president of the National Co-operative Credit Union (NCCU). Dublin replaced Dexter Ducreay whose second three-year term on the board expired and hence, according the rules, he was not eligible for re-election at the societies AGM held in Castle Bruce recently. Dublin is no stranger to the credit union movement in Dominica. From 1987 - 1996 she served as secretary of the St. Paul Co-operative Credit Union Limited. From 2002 -2006 she was the secretary of the Dominica Co-operative Societies' League Limited and in that same year, 2002, she was president of St Paul's CCU until 2007. St. Paul's Credit Union because part of the amalgamation of La Salette, Roseau, Vieille Case and Riviere Cyrique credit unions in 2010 to form the NCCU. Dublin was elected to the Credit Committee of the NCCU from 2010 – 2015 when her mandatory term expired. Dublin holds an MBA (Leadership and Educational Management -Distinction) from the University of Leicester and a Bachelor of Arts (General Studies) from The University of the West Indies. She has been principal of CHS, an all-girls school, since 2004. 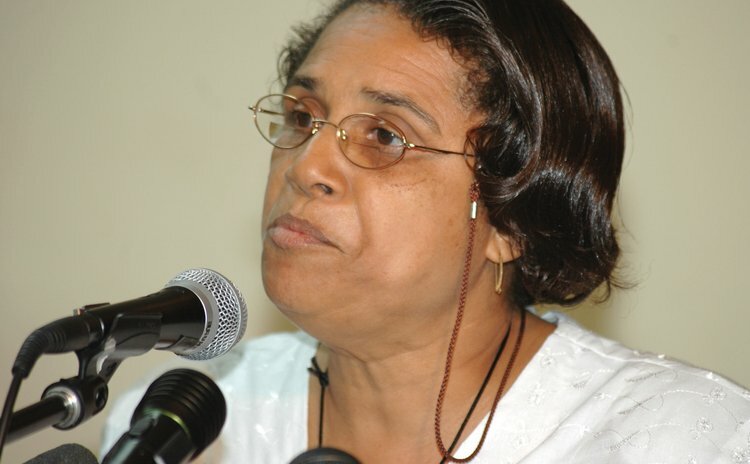 Described as a community leader, Dublin is a member of the Parish Council and a Lay Associate in Pastoral Care of St Ann and St Paul in Massacre; she's also secretary of the Massacre Family Group Leaders and from 2000-2005 she was also a trustee of the Dominica Association of Teachers. She has also held several teaching positions at CHS; among these subjects are geography, mathematics, French, religion, principles of business and arts & craft. The other members of the NCCU board are: vice president -Vernice Bellony; secretary- Charmain Brumant and treasurer-Ian Dorival. Gerard Fregist, Candia Carette George, Cecil Shillingford, Patrickson Albert, Candia Joseph, Janice Roberts and Kyra Paul are the other members of the NCCU board.